Handmade luxury leather locking briefcases limit access to important documents or objects and they accentuate the elegance of your business attire. We offer the finest selection of the handmade luxury leather briefcases with lock with a choice of combination locks, key locks and biometric locks in designs for both men and women. 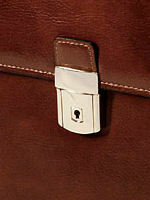 Buy a luxury leather locking briefcase personalized as required with monogram, name, or logo. 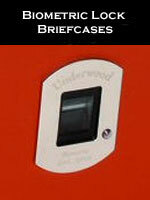 For those looking for looking for a personalized locking briefcase, Pineider and Underwood locking briefcases can be personalized as required with name, initials, monogram or logo. Across a number of collections, Jack Georges offers leather lockable briefcases personalized with a monogram of up to three letters. 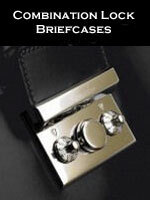 We offer custom locking briefcases manufactured with your details of choice for both companies and individuals. Contact us for arrangements.